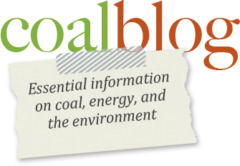 WASHINGTON, DC (May 9, 2017) — A recent report —“Can Coal Make a Comeback?”—asserts that environmental regulations are a secondary influence in decisions to retire coal-fired electric generating units. We disagree with this assertion. Specifically, the authors of the report “believe” that low natural gas and renewable costs are more important in retirement decisions than environmental regulations. However, the report provides no analysis to support this belief. On the other hand, ACCCE has closely tracked the reasons for coal plant retirements over the past five years. While not all retirements have been attributed to environmental regulations, it’s clear from official company statements — including, for example, filings with the Securities and Exchange Commission. and state public utility commissions — that environmental regulations have played a significant role in the vast majority of those retirements. In fact, three-fourths of all coal retirements, so far, have been attributed to EPA regulations.